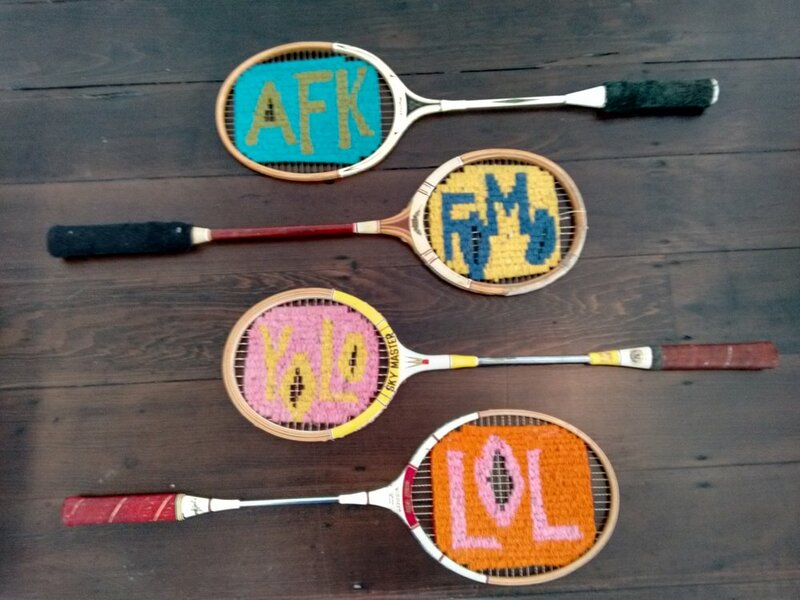 Secret conversations of racquets - for this millenium. As an urban artist working on both the digital and handcraft realms, the digital connect/collide is a thought provoking challenge. Classic examples of digital ‘disfunction’ are seen in family meals and restaurants, on beaches and at moments when you would expect quality connections, often they are disrupted by digital devices. One response to this is to go on ‘virtual Lent’. Clearly not practical as much of modern life is on line. It is this very dilemma that ‘Plug In Better’: A Manifesto' explores. It is this background that has prompted the concept of some provocations or a threaded conversation using short text and the result is 'strung up - millenial style'.